OK how excited have I been ever since I laid eyes on the new Illamasqua I’mperfection Collection!? TOO Excited! The collection boasts a range of products for eyes, lips and face but I frigging LOVE the speckle nail polishes the most! Only problem was I couldn’t decide which shade I wanted the mostest!, I spent a good while at the counter, umming, arghing, drooling over them all and finally decided to go for ‘Scarce’ the Pink one! 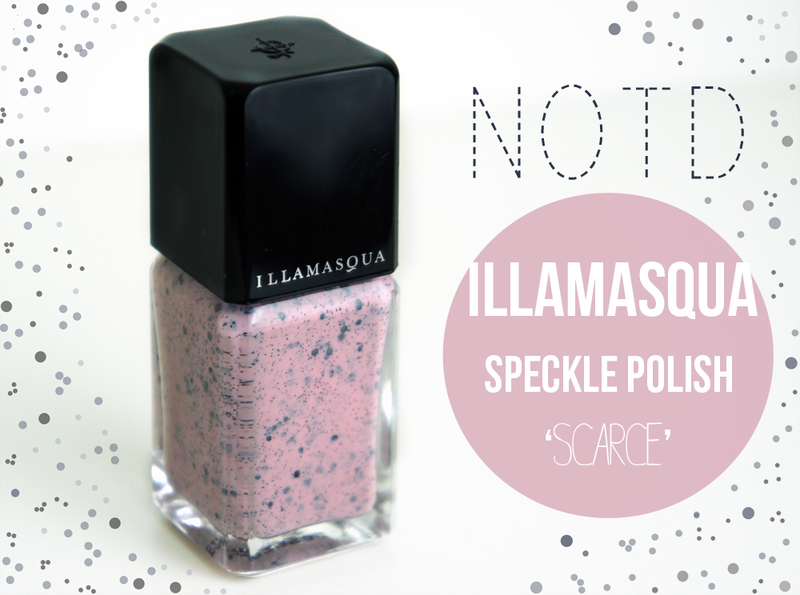 There are 5 Speckle Polishes in the range – it’s total pastel heaven! Plus they remind me of little mini eggs! I went for the Pink one because I don’t actually have that many Pink Polishes and I thought this one would be the most flattering for my skin tone! I am already eying up Freckle (brown) and Fragile (Blue) for my next purchase! Who am I kidding? I want them all! 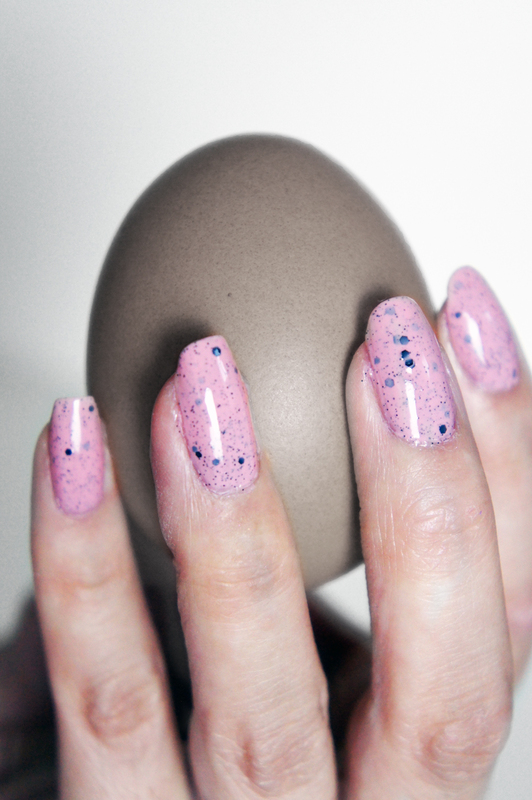 So here are my swatches of the NEW Illamasqua Speckle Polish in ‘Scarce‘ and OH YES I did pose with an egg of my own! Had to be done Ladies! Had to be done! I am so unbelievably in love with this polish! I know! I know! It’s just nail polish and I need to calm myself down, BUT just look at it! *swooonn* and at £14.50 each I guess I better get saving on those pennies now if I want to buy the whole range! What do you think Ladies? 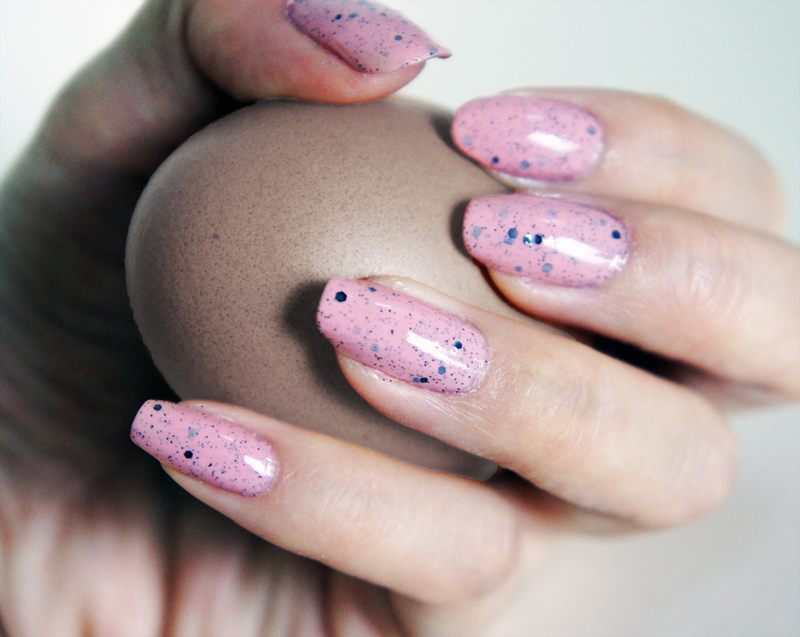 Are you also stupidly excited for the Speckle Polishes? Which one do you have? The I’MPERFECTION COLLECTION is available now in stores or via the online store HERE. Let me know if you do try any of it! Tags: I'MPERFECTION COLLECTION, Illamasqua, Nail Art, Nail Polish, Nails, Pastel Nails, PINK POLISH, SCARCE, SPECKLE NAIL POLISH. Bookmark the permalink. Interesting! I’ve been looking forward to seeing swatches of these! 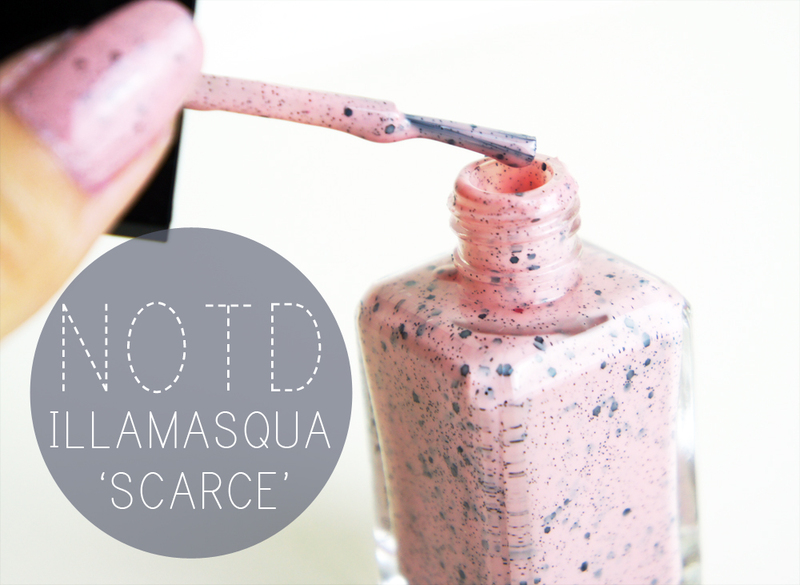 I’ve been lusting after these since I saw them on British Beauty Bloggers post! :) I love them! This is the beautiful color. =) love it. Ahh this is gorgeous! It’s a must have! Yep I agree! Such a cool polish! I can stare at it all day lol!